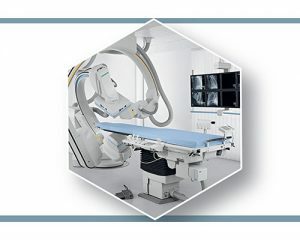 # 7 El Socorro Road Extension #2, El Socorro South, San Juan, Trinidad W.I. 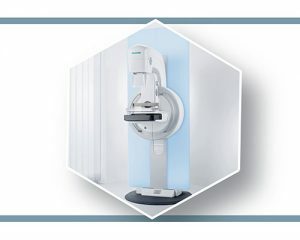 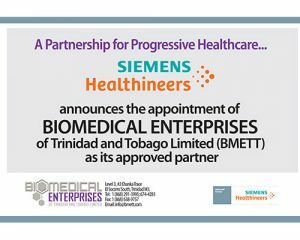 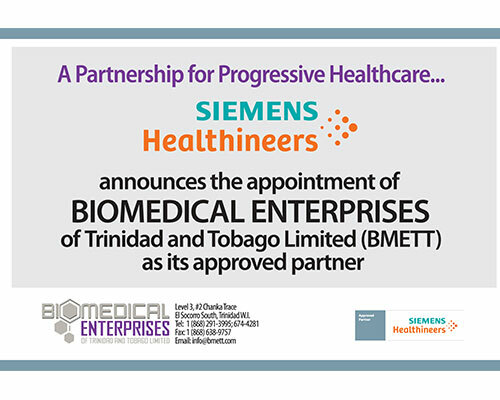 As a dedicated provider of healthcare and biomedical equipment created by some of the world’s largest medical technology companies, Biomedical Enterprises of Trinidad and Tobago Limited (BMETT) offers ready access to trail-blazing solutions for the field of Medical Imaging. From diagnostics to treatment, we carry biomedical brands and systems that give patients the best options available, backed by our commitment to unrivalled, world-class service and support for all our clients, through our team of qualified professionals. 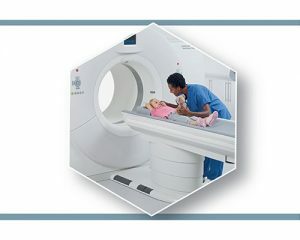 At BMETT, we’re helping to build better healthcare, working together with public and private institutions to provide cutting-edge medical solutions that improve the outlook for our people and our communities.